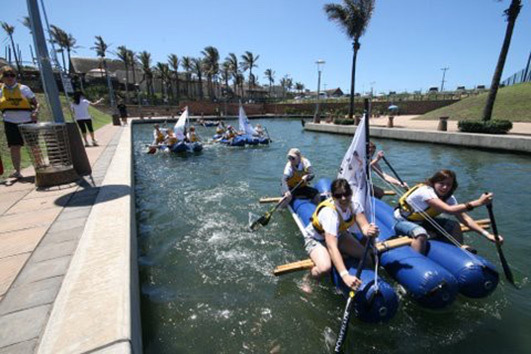 A teambuilding adventure around the Durban Point Waterfront. Themed around the popular Pirates of the Caribbean series, teams use the pirate map provided to complete the activities and emerge as the winning ‘crew’. As per the amazing race, groups travel around the area finding locations and completing tasks. At each location, there will be a manned activity (total of 7) that needs to be completed. Waterproof GPS units will be issued to each team to assist them with staying on track. Marsh-mellow Cannibal Challenge: show your pirate creds by devouring as many marsh-mellows as possible.